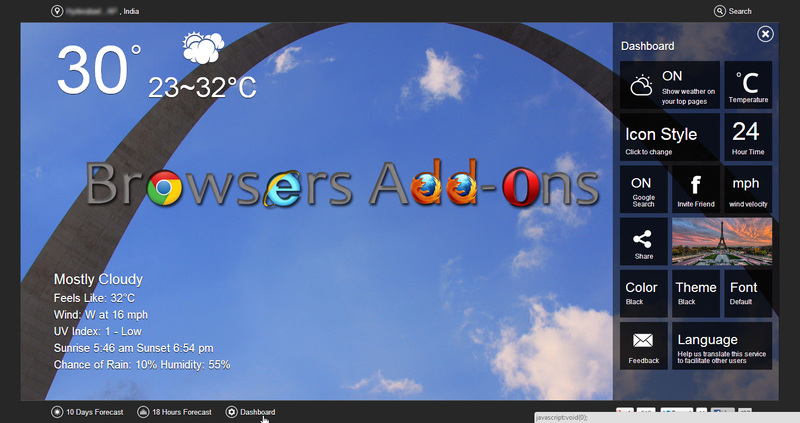 Get updated with latest weather forecast with Sun365 extension for Google Chrome. Sun365 is an extension for Google Chrome which lets user keep tab on latest weather updates and forecast around around the world with simple and gorgeous UI. 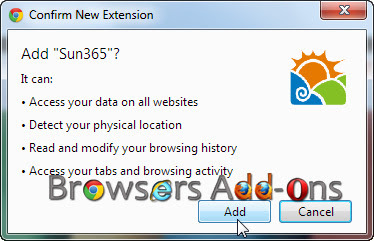 The best thing about Sun365 extension is that it gets integrated with Google, Facebook, twitter, Bing, YouTube and LinkedIn. 1. 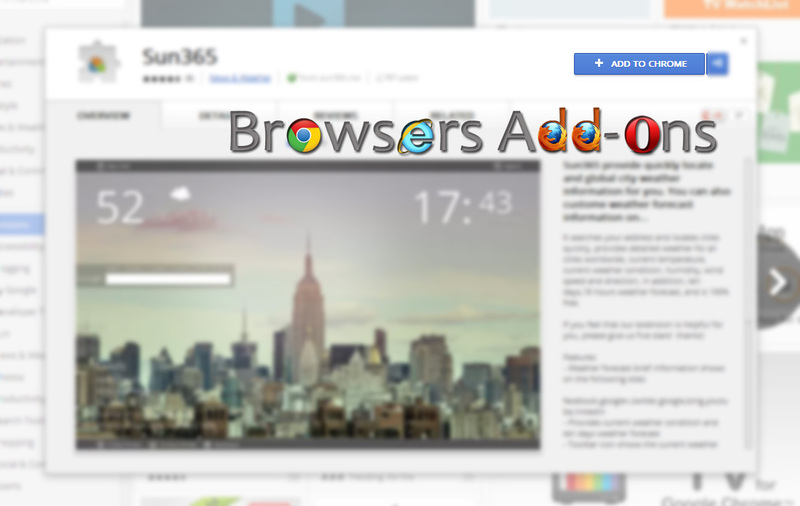 Go to Chrome web store an search for Sun365, or simple click on the above download link and click on “ADD TO CHROME“. 3. 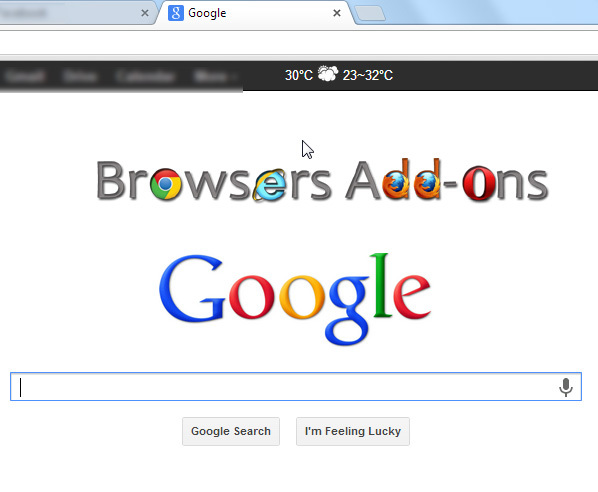 Now, Sun365 icon with message pop up appears at upper right corner of browser, indicating that the extension has successfully integrated with the Chrome. 1. After successful installation, you will redirected to Sun365 homepage where it ask user to share it location. If you don’t care much about privacy go ahead it with. The only use of sharing your location helps the extension to find the location fast and accurately. So next when you open any of these sites … Google, Facebook, linkedin, twitter, Bing and YouTube you will be seeing weather updates like this…..
2. To change the metric units, themes etc., click on the dashboard which at bottom of the webpage. 2. 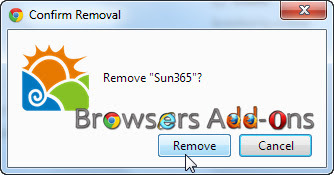 Now, un-tick the Sun365 to temporarily disable the extension. Click on the dustbin icon and you will be greeted with pop-up, click “Remove” to remove the extension from Google Chrome. To all the web developer out there, Firefox is giving out Macbook Air, Android Tablets and Firefox Tees for creating or updating addon. Next story Get Grammar assistance on web with Grammarly Lite – Smart Spellchecker extension for Google Chrome. Previous story Get custom alerts with Tab Badge for Mozilla Firefox. How To Display Firefox’s Menu Bar And Keep It For Ever. Add Gesture Control to Mozilla Firefox with FireGestures Addon.